As a Waterwise School, we encourage all our families to participate in Seek a Leak Week. This activity can be done at home. 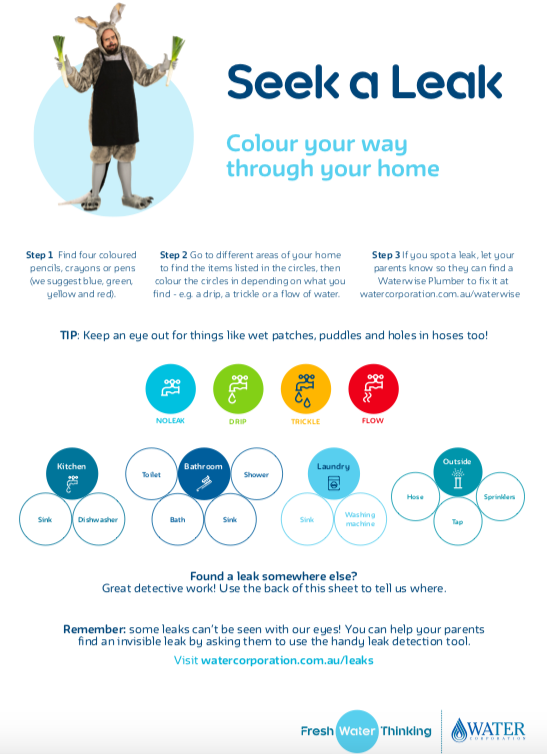 As part of our Seek a Leak Week Waterwise schools are encouraged to take the time to spot a leak with some activity plans. Leaks can be extremely wasteful and costly. Did you know that a leaking toilet can result in nearly 3 buckets of wasted water a day! Here is a link to the Waterwise website with details on how to run your own Seek a Leak at home.